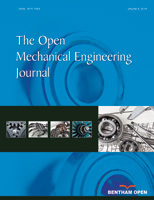 Rolling bearing performance degradation assessment has been receiving much attention for which itscrucial role to realize CBM(condition-based maintenance).This paper proposed a novel bearing performance degradation method based on TESPAR(Time Encoded Signal Processing and Recognition)and GMM(Gauss Mixture Model). TESPAR is used to extracted features which constitute A-matrix. GMM is utilized to approximate the density distribution of singular values decomposed by A-matrix. TENLLP(Time-Encoded Negative Log Likelihood Probability) serves as a fault severity which can display the similarity of the singular values between normal samples and fault samples as quantificational. Results of its application to bearing fatigue test show that this performance degradation assessment can detect the incipient rolling bearing fault and be sensitive to the change of fault.